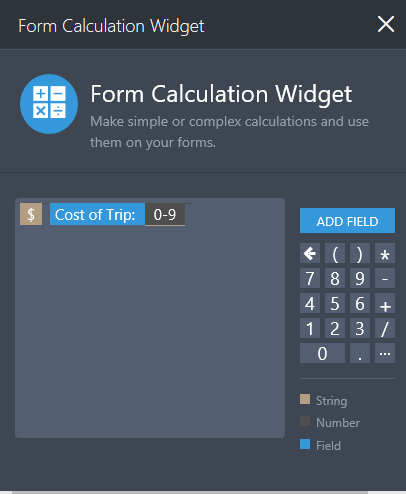 Hi, on these forms my calculation widget works a bit different, it is calculating correctly but on the Total field, I will like to have as a default the $ sign, you guys help me with this issue in another form, but this one is different, please check the url to see what I mean, thank you very much. You can add a dollar symbol to your calculation field. It needs to be brown. (Brown indicates a string of text, and black indicates a number).